History as we know it, as we learn it is -may I say- half the truth. The text below proves it. An amazing text - interview which with in a few lines gives a new dimension to the Greek and world history and overturns historical views being itself fuel for thinking. Another translation exclusively for the readers of GREECE AND WORLD. This study of yours, as you mention in the preface, helped you to view and modify several times some negative opinions, about Byzantium. This means a profoundly ideological change of your visual approach to several issues of your past books? It is a characteristic of this time, that the characteristics of modern Hellenism are formed in a final way, the ethos of resistance - according to Nikos Svoronos the main element - and the political texture of its identity. In this respect it is interesting that Digenis Akritas, written in the twelfth century, is "the national epic of modern Hellenism", according to Nicholas Politis, has as its central hero of a ... "Digenis" (of two descents) with an Arab Christian father and Greek mother. 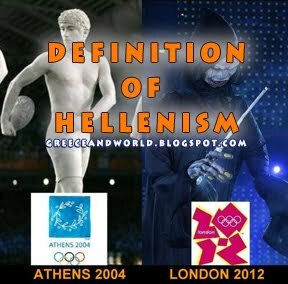 His identity is cultural and spiritual and not racial, showing in a way that, the famous phrase of Isocrates about the ancient Greeks (Hellenes) " Greeks (Hellenes) are the ones who posses Greek paedia - education", applied in a greater degree for modern Hellenism. Yet this very developed culture lacked the aggressive reflexes of colonial West, which began its course to conquer the world and of the Turkish - Mongol tribes, which at the same time spread with lightning speed from Delhi to Kiev. It succumbed after an unequal struggle that lasted four centuries starting from 1071 AD when the Seljuks at Manzikert defeated the Byzantine army and the Normans conquered Bari. In 1453 Mehmet the Conqueror simply knocked out a breathless Byzantium. As for the bronze statues of the hippodrome, carried by the Venetians in the Piazza of San Marco (Saint Mark), so the wealth, culture, the Byzantine manuscripts will be transferred to the West and will form the basis to trigger the western Renaissance, while the Greek people will sink for a few centuries in the dark. The crucial moment was 1204 AD, when Constantinople was at least 500000 population and was the "queen of cities" and certainly not 1453 AD when approximately 50000 people lived in the glorious ruins. So our rebirth will be "suspended" for 500 years at least and when in 1700 we catch again the thread, we have already lost five centuries. So we thought that we had no other choice but to import everything from Hesperia. -The first conquest of Constantinople was a critical event, the importance of such -as you note- was ignored. What are the immediate consequences of this? Hiding the importance of the first and decisive Fall of Constantinople obscures the actual building process of modern Hellenism and its continuity with the Byzantine, as well, in fact G. Karabelias -1204 AD and the formation of modern Hellenism GREECEANDWORLD.BLOGSPOT.COM the first "nation-state"-or Modern Greek states formed during the so-called "Late Byzantine time. " At the same time, and in that regard, this silencing involves hiding the colonialstyle relationship established since then among Westerners conquerors and Greeks of late Byzantium, falsifying, moreover, global history itself, especially in the crucial chapter on the colonial establishment of the West, which is not launched with Columbus but with the Crusades - and essentially, the dismemberment of Byzantium. furthermore is the ultimate humiliation for the colonized to ignore or hide the texture of relations of subordination agreed with the dominants, because they (the colonized) will continue forever to be disoriented without being able to establish an autonomous culture. -Apart from any internal, Greek, reading of the book, which has much to offer as to clear up some things, what do you think could be offered in the wider European family? Today the dominance of the West is closing in planetary field, with the emergence of new centers of power - China, India, Islam, Latin America, etc. - and we' re headed for a fundamental multipolar world. Europe is sinking more and more into a deep and widespread crisis and to reconstruct itself as a center of culture and power, the balance between the West and the East in our continent should be reconstituted as well. A geopolitical balance, with the accession of Russia, and certainly not the non European Turkey, in a future united Europe, but also spiritual. 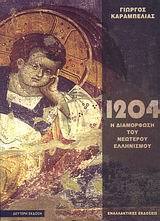 The fact that the pope apologized in 2001, from the Greeks for 1204AD in Athens, is a step in the right direction. Because as shown by Europe after the war, only the recognition of the crimes of Hitler's Germany against the Jews and other European nations allowed to establish a united Western Europe and certainly not oblivion. Thus the study of the rupture brought by 1204 in an old European tradition, is still up to the minute. At such a time, the recognition of the contribution of the Greek (Hellenic) and the Orthodox component configuration, finally, of a Europe that will not be limited to the most-helpless now-western version, is a must. The "Greek way" the balance between spirit and matter, man and nature, man and machine that would probably give a different kind of Renaissance if Byzantium had survived. Maybe it can be activated again today, because the Western power-centric model has exhausted to an ecological and anthropological impasse. -We can say that the message of the book, can help to boost our confidence to go further, which in recent years only our athletes offer us? Certainly, it emphasizes that History never ends. 1204 marks the change in the correlation of forces between the Latin and Greek tradition, between Western and Eastern Europe, in favor of the former. 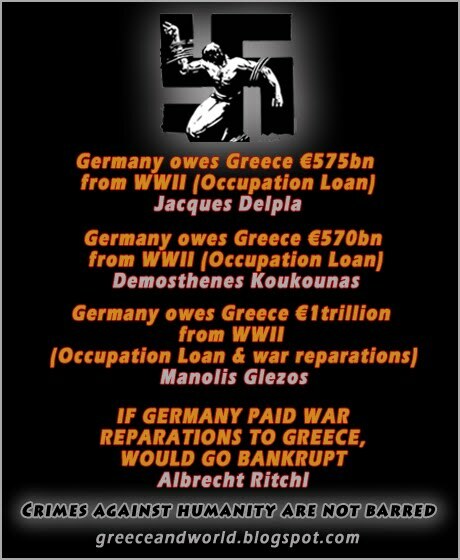 So I think as the cornerstone of the Modern Greek hallmark as national resistance identity. Τhe development of the nations is, above all, the rupture with the nearest "other" and the gradual diversification away from him. And if this process of rupture accelerates from 11th century until at least the 18th century, then, the two worlds will begin to close to each other again, but now with almost absolute terms of inequity. 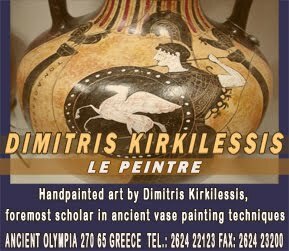 The West is the world's center, while the Greek (Hellenic) and "Oriental" world, the heart of European culture once had changed to semi-periphery and "parasitic outgrowth" of the western paradigm. 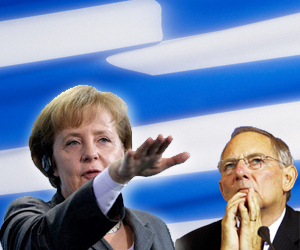 Today - the West gets in crisis - it is possible, if the thread went back to where we had left it, finally overcoming the division between "tradition" that looks backwards and "modernization" constantly looking outwards, with a radical new proposal that might finally remove the "sorrow of Greekness", of which Moskof talked about, a third proposal is to modernize our tradition. and follow up where we left off when we suffered an unprecedented amputation is the only option we have. Or completion of our face to the new conditions, or permanent loss of any face. "..the most important contrast of Greek (Hellenic) society today is not the traditional clash between Left - Right, but the contrast between Greek people and a -forced established occupying elite." 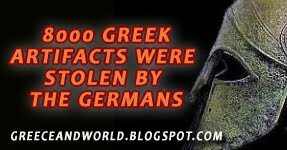 GREECEANDWORLD.BLOGSPOT.COM 1204: The first conquest of Constantinople by the Crusaders. Perhaps the biggest looting of city in world's history. Since then, Constantinople will not recover and until the conquest by the Turks would remain a ghost of its old self.